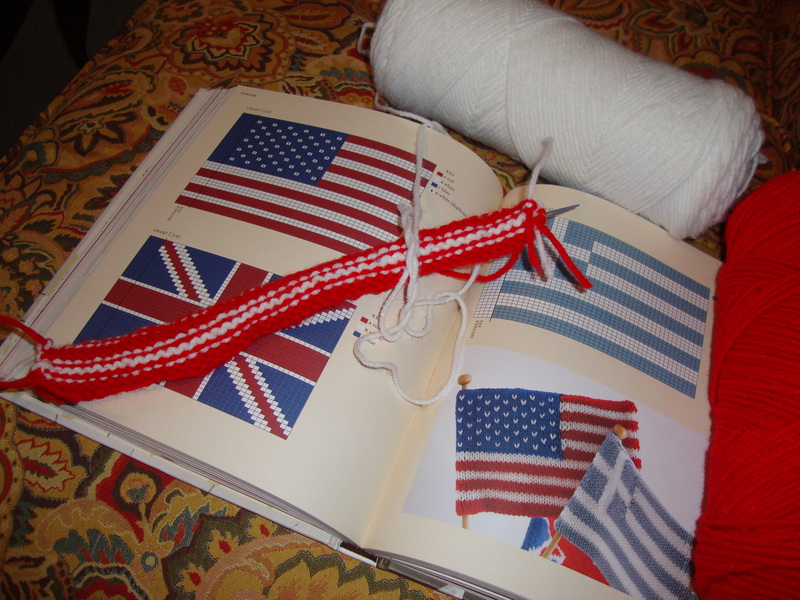 With the 4th of July only days away, I wanted to make something “festive,” but I knew I didn’t have enough time to make something big/time consuming. 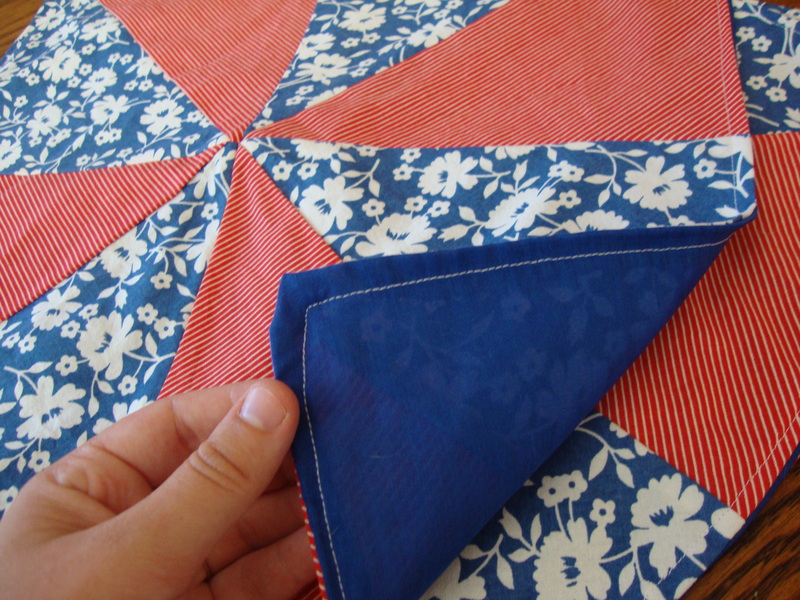 So the idea of napkins seemed simple and easy to make – and trust me, it was! 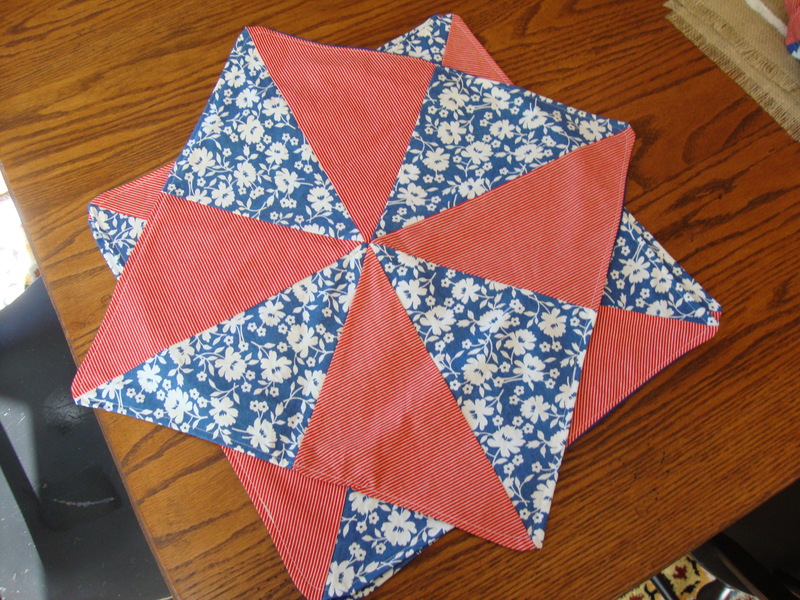 The idea of making the pinwheel design had been floating around my head ever since I made an quilt, and I managed to find this video that made it so easy to make! 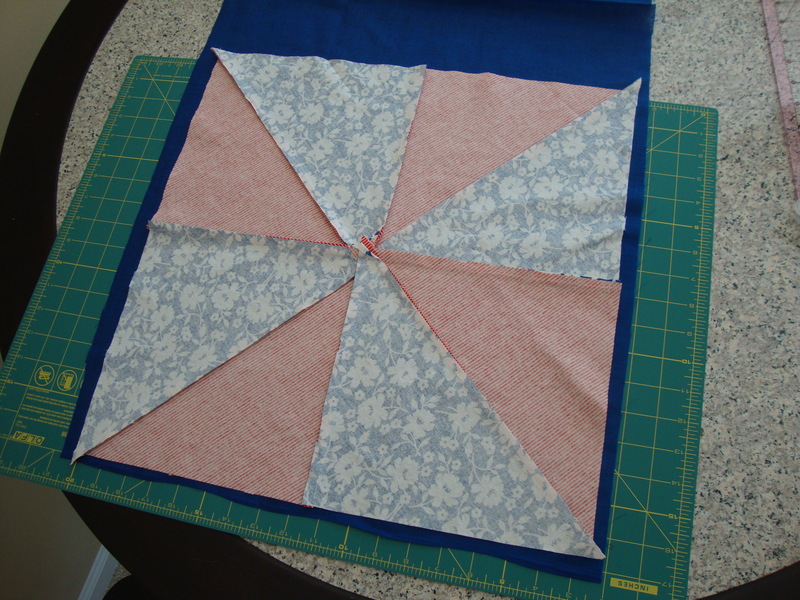 I started by cutting out 13.5 inch squares from both fabrics. 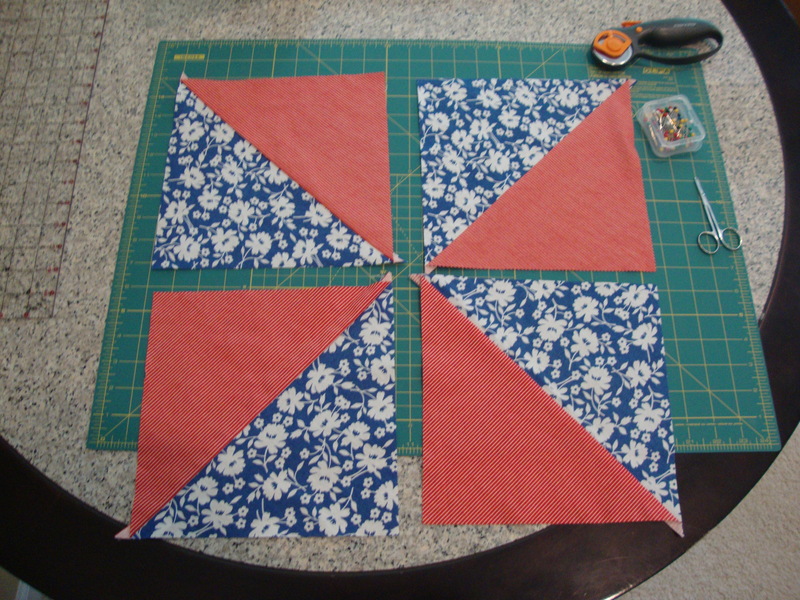 Then I arranged both squares with the right sides facing in and sewed a continuous seam (with a 1/4 inch seam allowance) along all 4 sides. 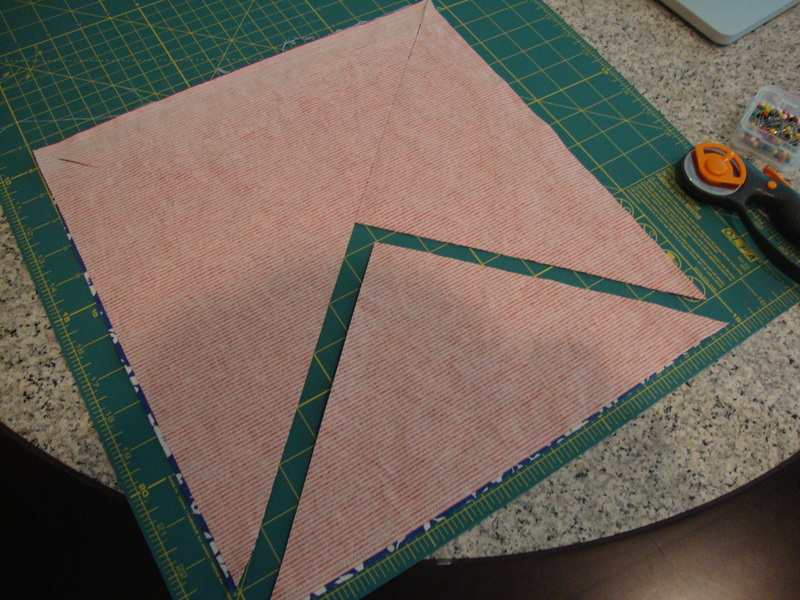 Next, I cut 2 diagonal lines. This created 4 squares with perfect half triangles. 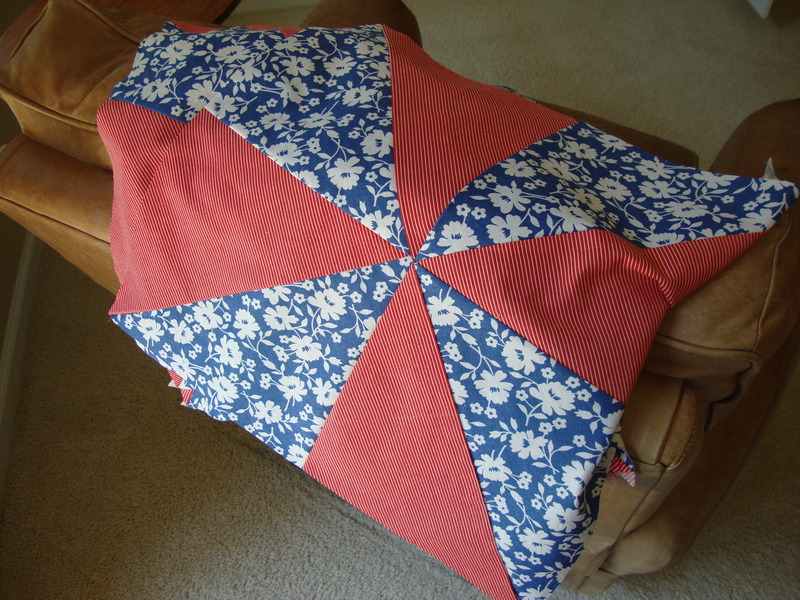 I then arranged it into the pinwheel design. 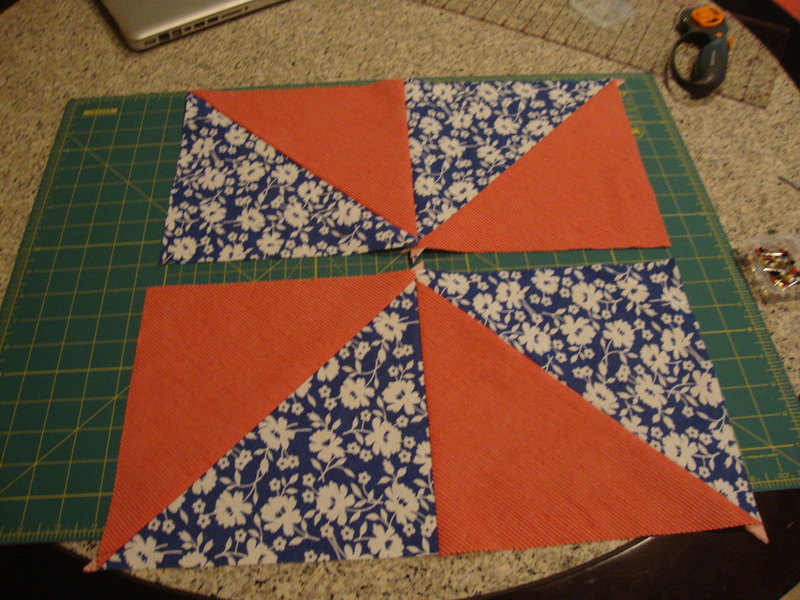 Next I sewed together the squares 2 at a time. 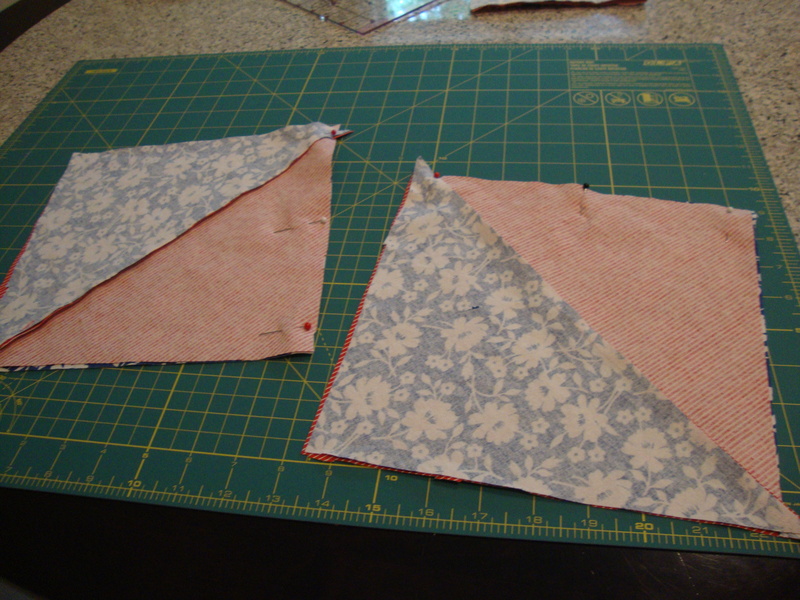 Then the final 2 rectangles (making sure the center seams were aligned). 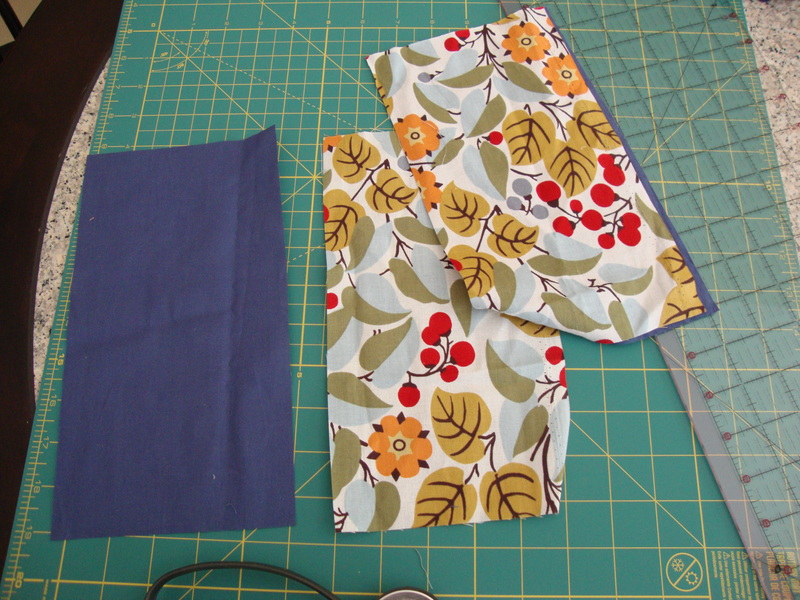 With the top side done, I cut out a back piece from a navy blue fabric. 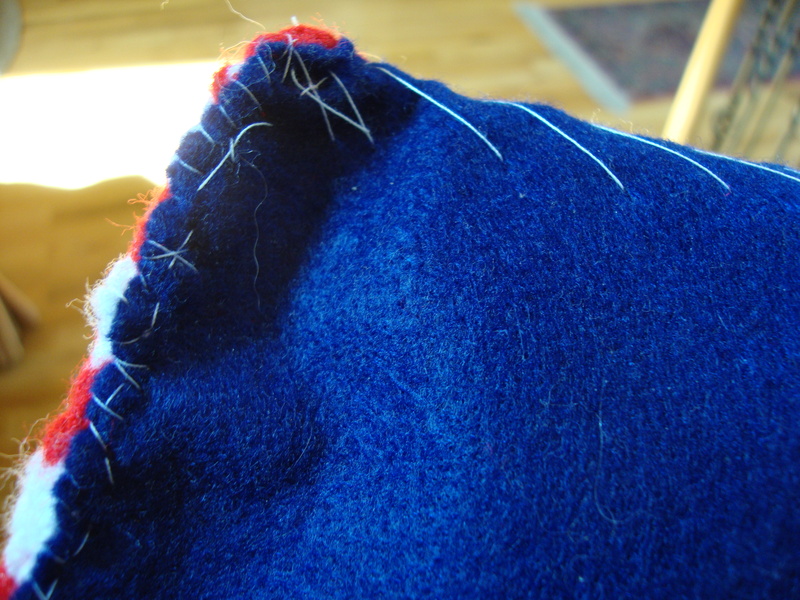 Like before, I created a seam around all the edges, leaving about an inch so I could flip the fabric right side out. 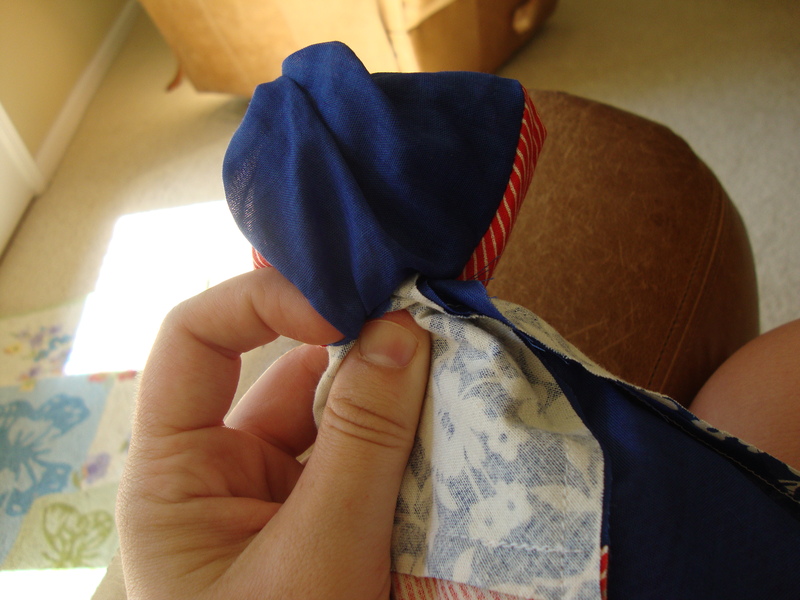 As the final touch, I sewed a seam along the edgse of the finished napkin, securing everything in place. And with that, it’s done. 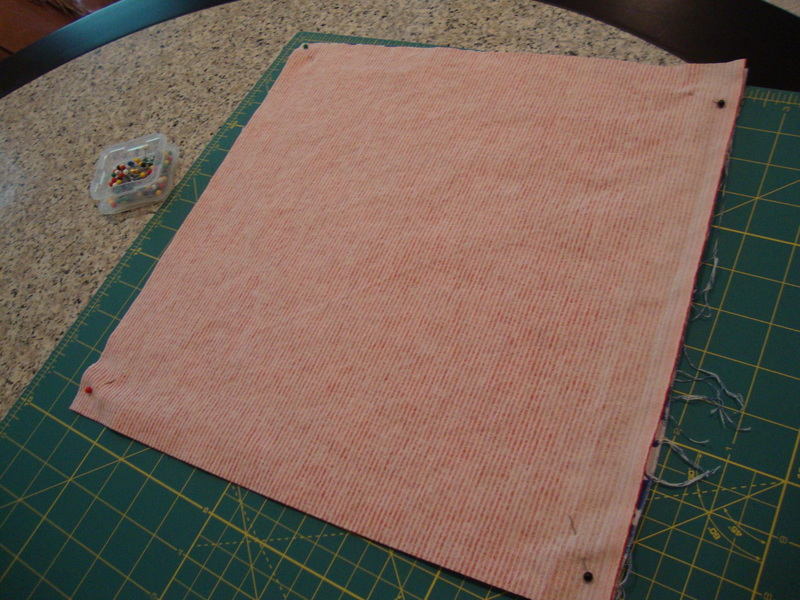 I made 6 napkins in about 2 hours – again, SO EASY! 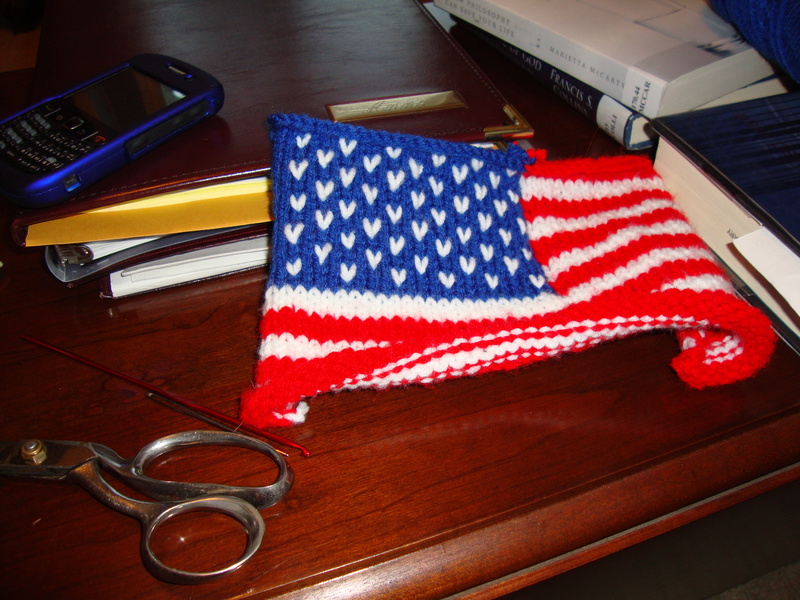 With the 4th of July just around the corner, I thought I would pull this project out of the archives for those of you who are still looking for something to make before the holiday weekend. 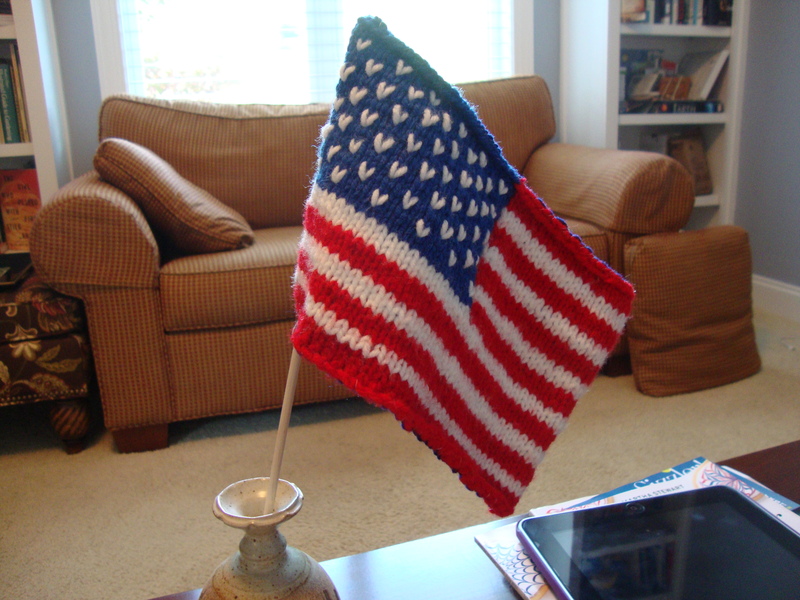 I made this last fall after finding the knitting pattern in a Debbie Bliss book. 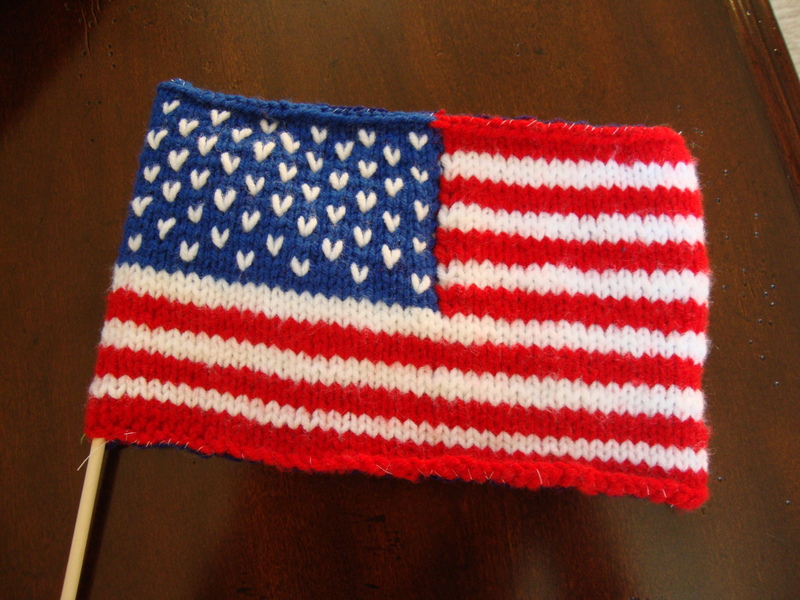 It still remains to be one of my favorite knitting projects to date! 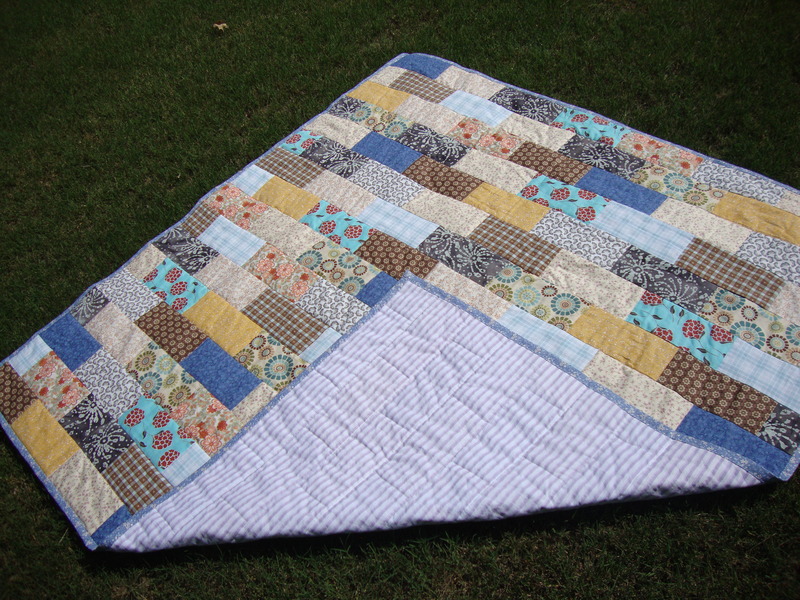 The project is super simple (provided you use Debbie Bliss’ pattern – I cannot remember the name of the book where I found it, but I do know it’s from one of her newest books). 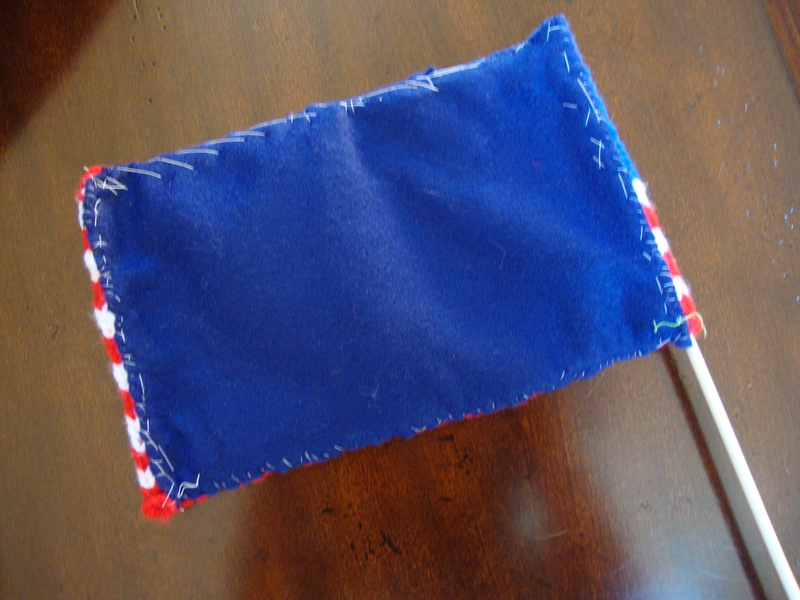 Once you finish your knitting, I simply cut a piece of blue felt – same size as the flag – and whipped stitched it in place. 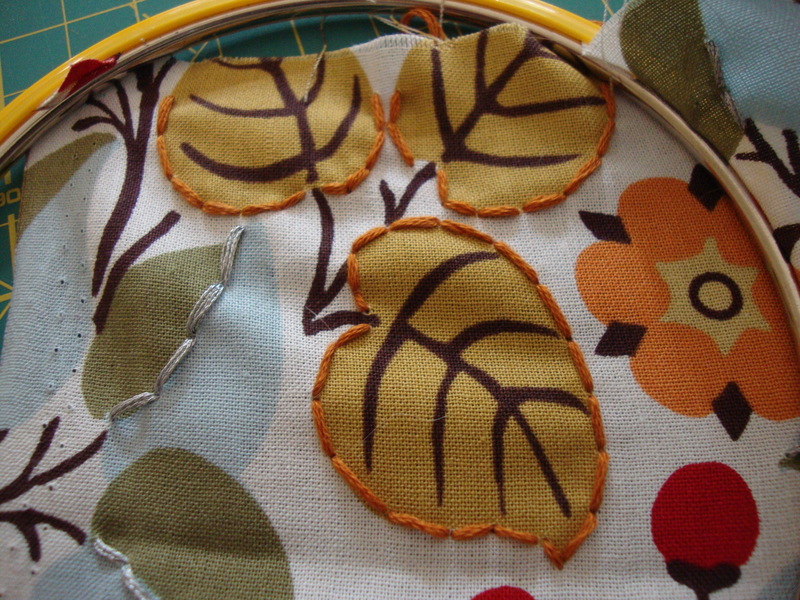 I purchased the wood stick from a craft store and inserted it before whip stitching the felt piece in place. This is super easy to make, and I managed to finish it in one night. So you still have plenty of time to whip it up before the big day! 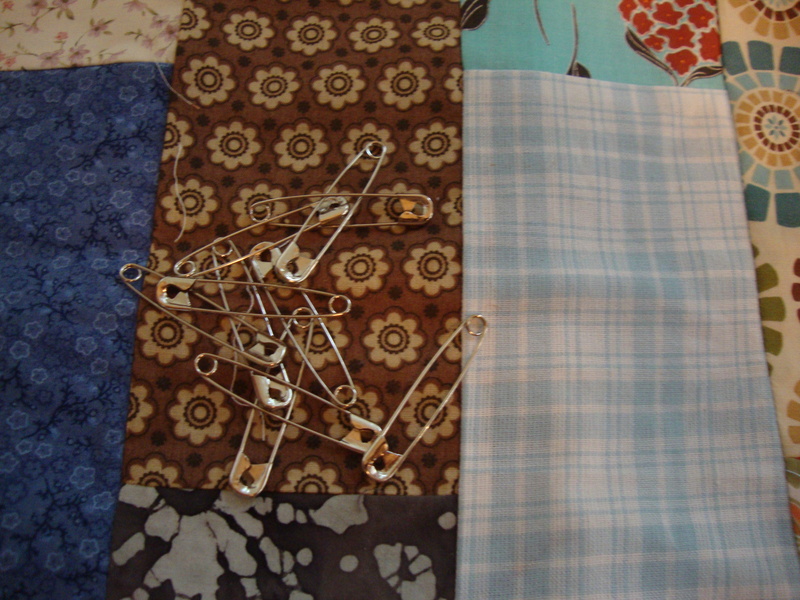 Even after making my quilt, I still had a lot of extra fabric lying around from earlier projects. 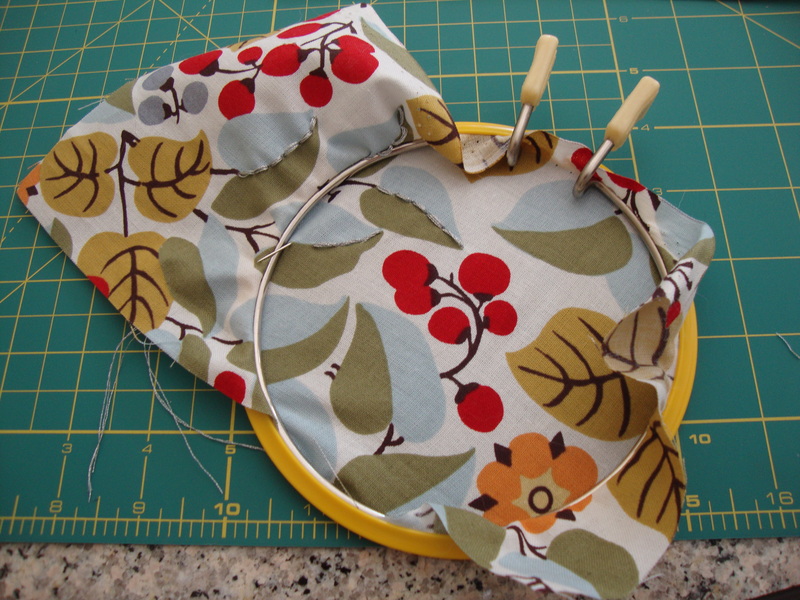 With work, I haven’t had much spare time to drive to the fabric store, so I started thinking about different projects I could do with the scraps. 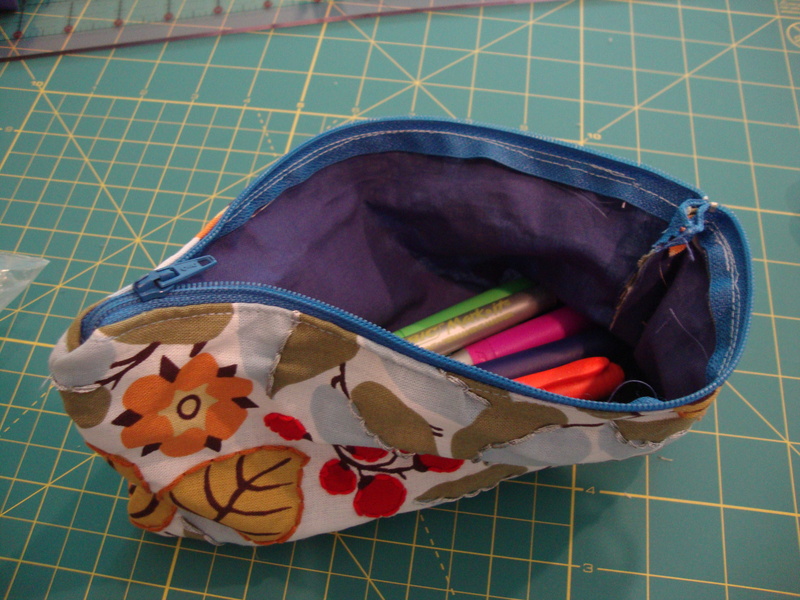 A pencil pouch seemed like something I could easily do. 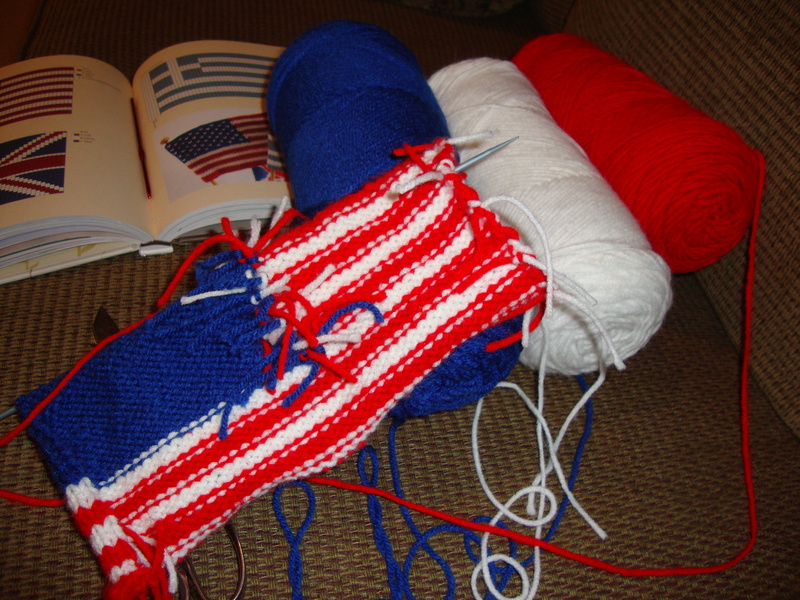 I didn’t really have a plan going in to it (so at times I had to take out stitches and try again) But once I figured it out, I realized this project is so easy, it could be mass produced. 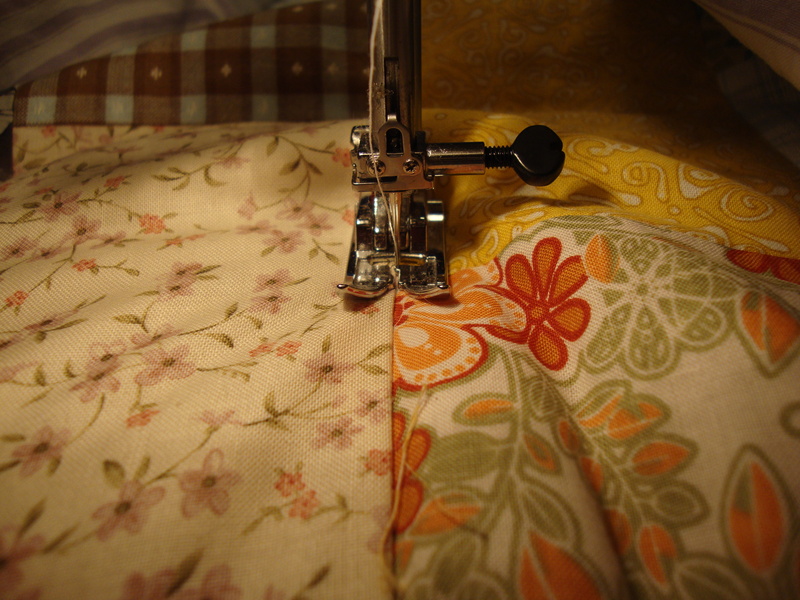 I started off with the fabric. 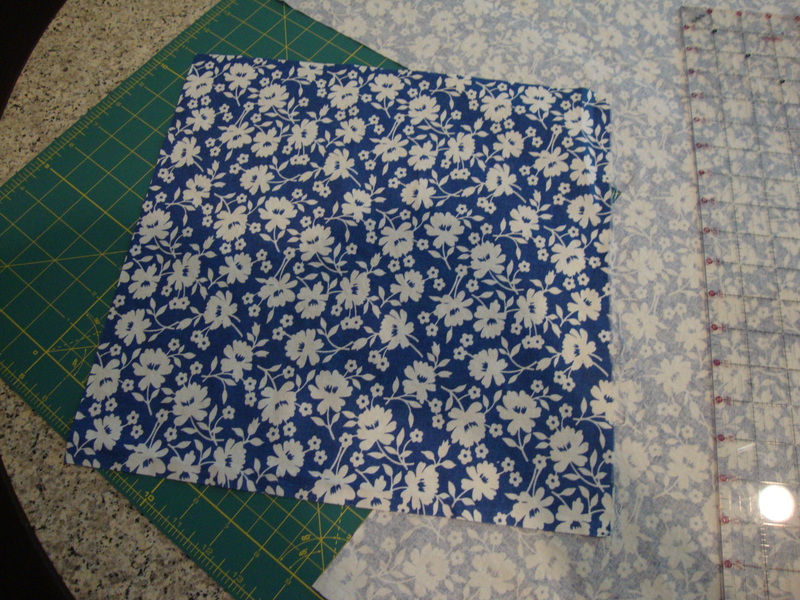 I cut two 10×5.5 inch rectangles of two different fabrics (the blue fabric acting as an lining. I also bought a 9 inch zipper. 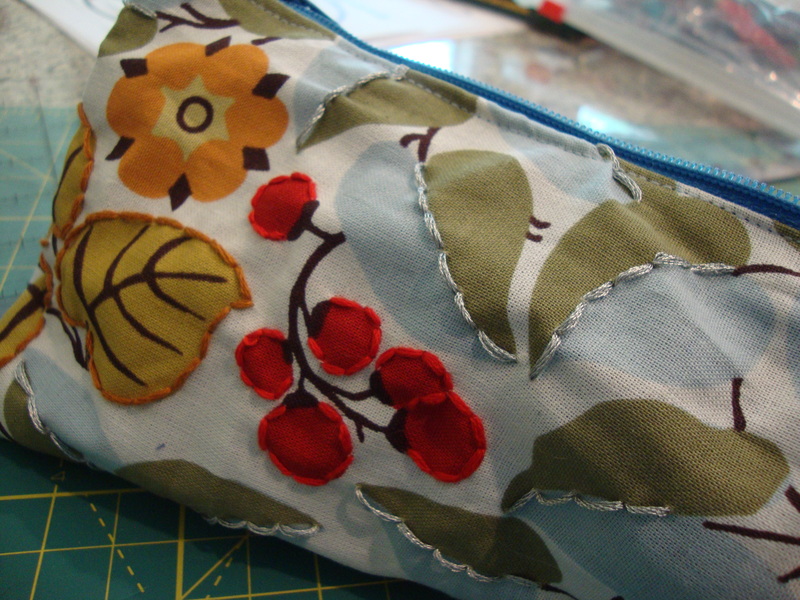 Even though the goal was to make a simple pencil pouch, I still wanted it to be something special. 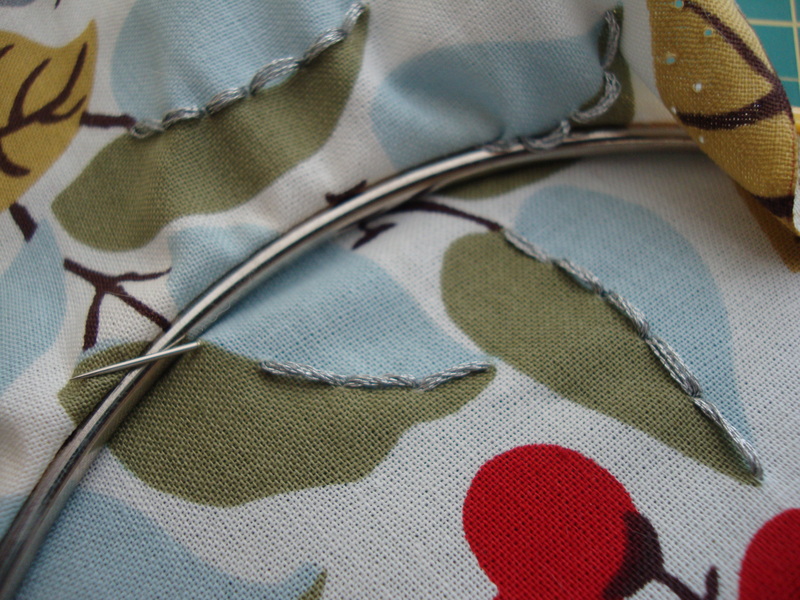 So I pull out some embroidery thread to add a 3D element! 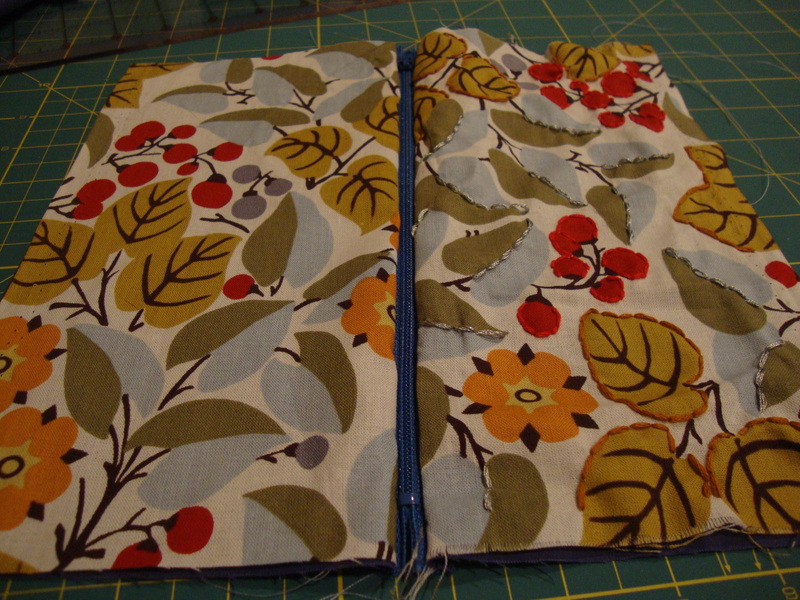 With that finished, I began the sewing! 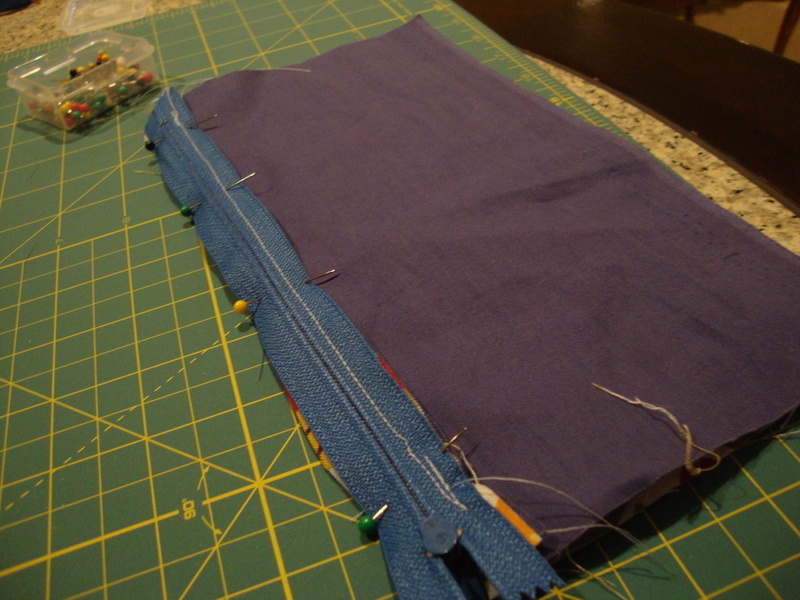 Lining up the two fabrics and arranging the zipper on top (right sides facing in), I attached the zipper to the fabric. 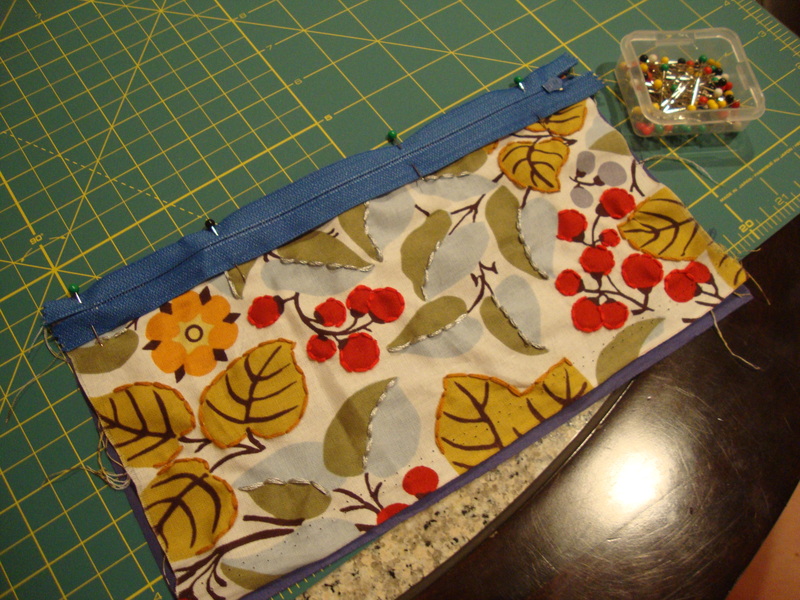 I sewed two more seams on either side of the zipper(using a 1/4 inch allowance), and then, placing the right sides together again, I sewed along the rectangle, creating the pouch. Flip everything around, and it turns out like this. My sewing skills were far from perfect on this project, but the fact is, the project turned out functional (so it’s a successful one). And I love the embroidery detail. It really makes it something special! It dawned on me when I logged onto my WordPress dashboard that this post would be my 50th. A small mile stone, but one that I think should be celebrated nonetheless. So for my 50th blog post I thought it would only be right to highlight my top 5 projects that you might have missed. This project is one of the few that I have kept for myself. I simply love everything about space, especially the stars. And working at a nature camp during the summer has taught me to love the constellations stories. 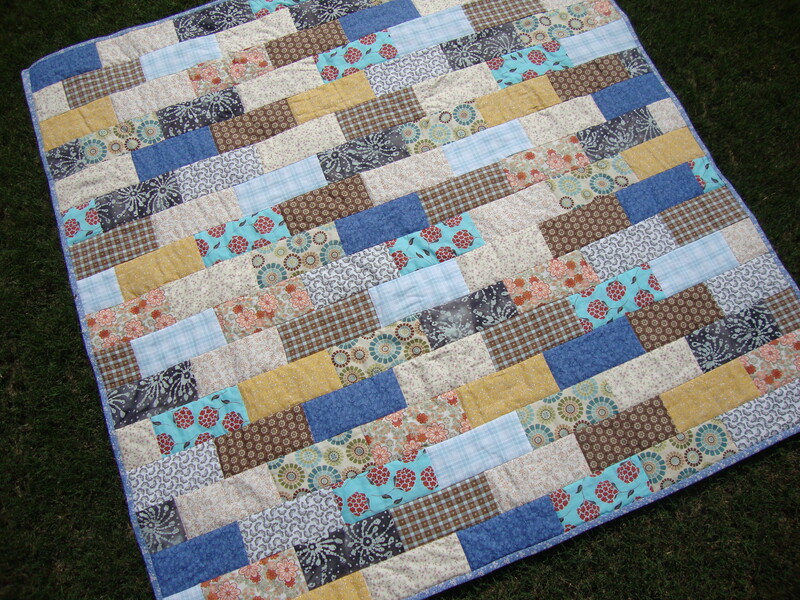 This project was super easy to make, and it is simply one of my favorites! I know we are in the middle of the summer, but I still love the braided scarf I made the week my family and I were snowed in for a week this past January. I ended up giving it away as a gift, but I keep thinking that if I ever sold one of my projects, this would be a best seller! I love its sweetness and simplicity! This project brought about the most hits to my site in one day (over 100 visitors). I was amazed at how far my blog reached with this project, with friends sending the link to friends. It was such a cool and relatively easy project to make. Plus, I have great memories of the night I stayed up to make it in my dorm room with my roommates and I all in the same room, working on things and just hanging out. I feel like it is only fitting that the top spot belongs to the project that started it all. 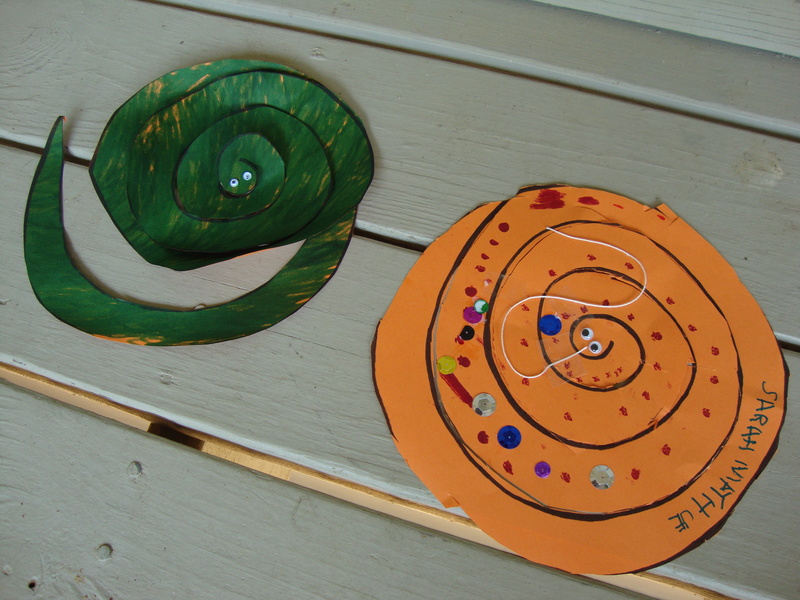 After making the solar system using felt, I knew I needed some sort of medium to display the projects I was making. It was the project that inspired the blog’s title (For the Love of Felt), and it pushed me in the direction of making more elaborate crafts. I think it will always be my favorite! 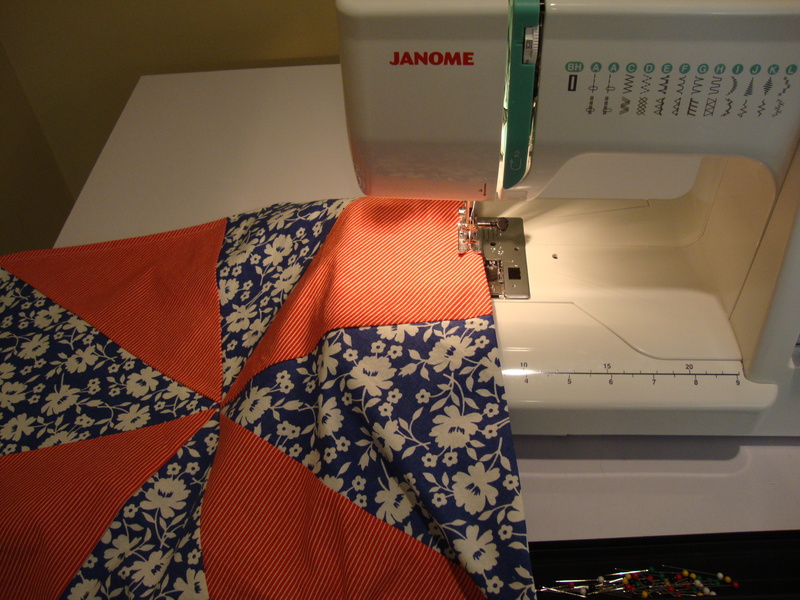 With the top layer of my quilt finally finished, it is time to move on to the next step – Quilting! 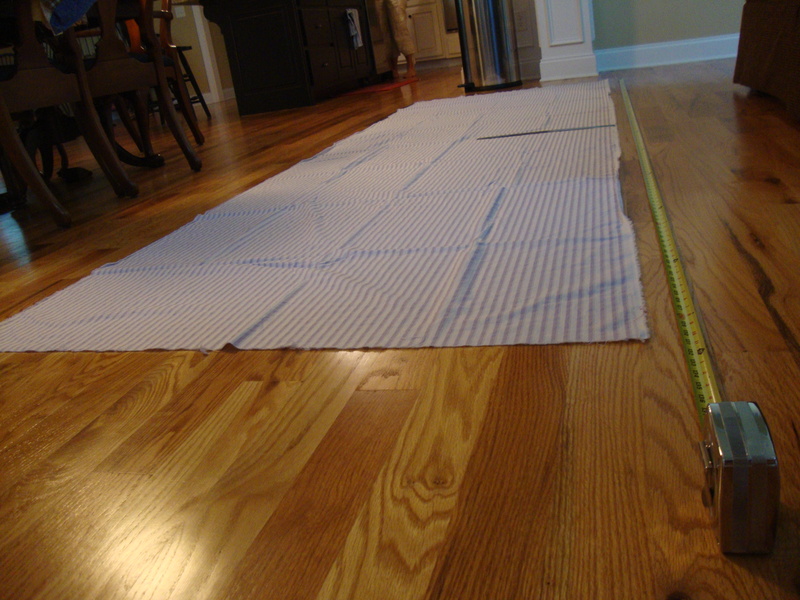 My math was a little off, but somehow I managed to finish with a perfect 60 inch square for my top layer. 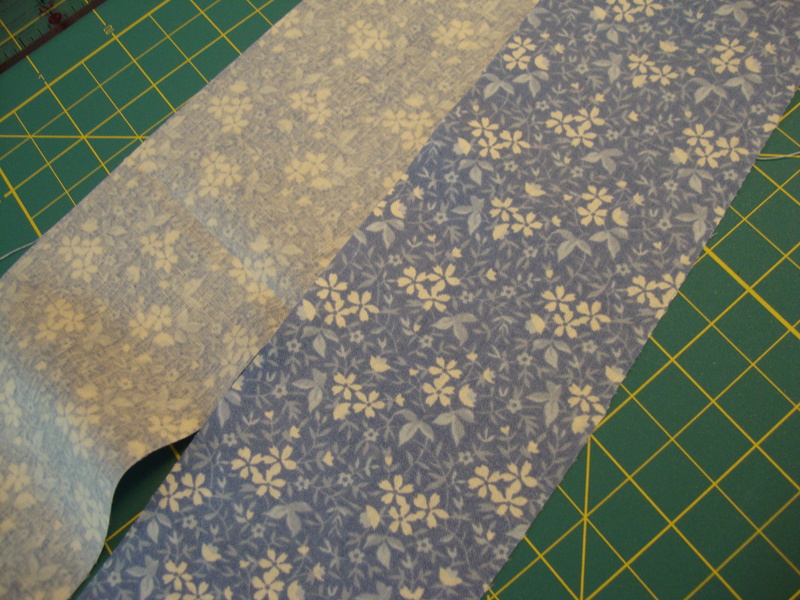 It is not what I necessarily planned for, but it means I have plenty of batting and fabric for the back layer. 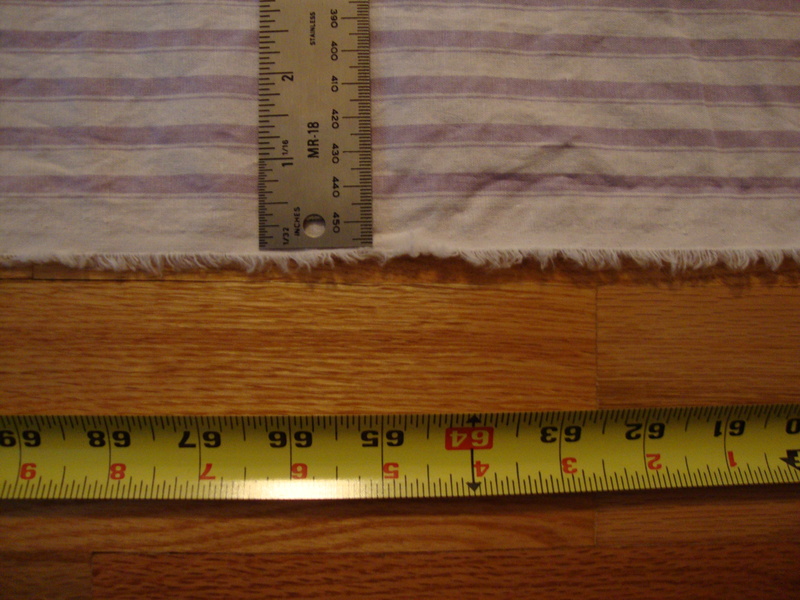 I purchased 3 1/2 yards of a 44″ light purple, striped fabric for the bottom layer. 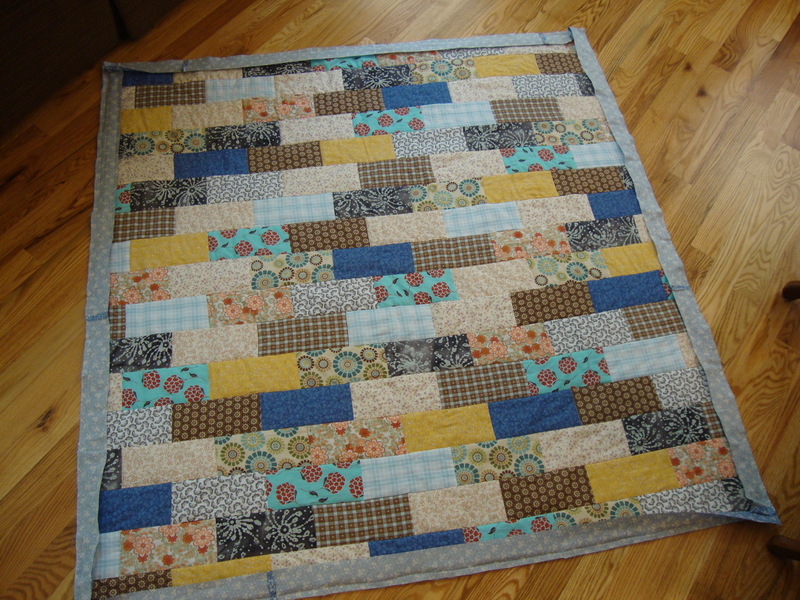 To make it work, I simply cut it in half (two 65 inch long pieces) and sewed them together to make a 65 x 88 inch rectangle. 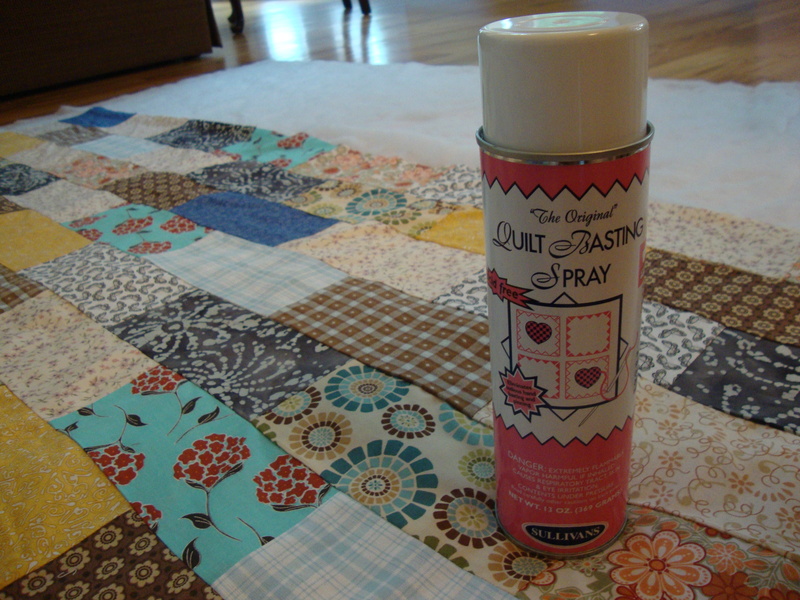 After laying out my batting, I used a quilt basting spray to help baste the quilt together. I learned about the adhesive in my research, and it is actually pretty cool. 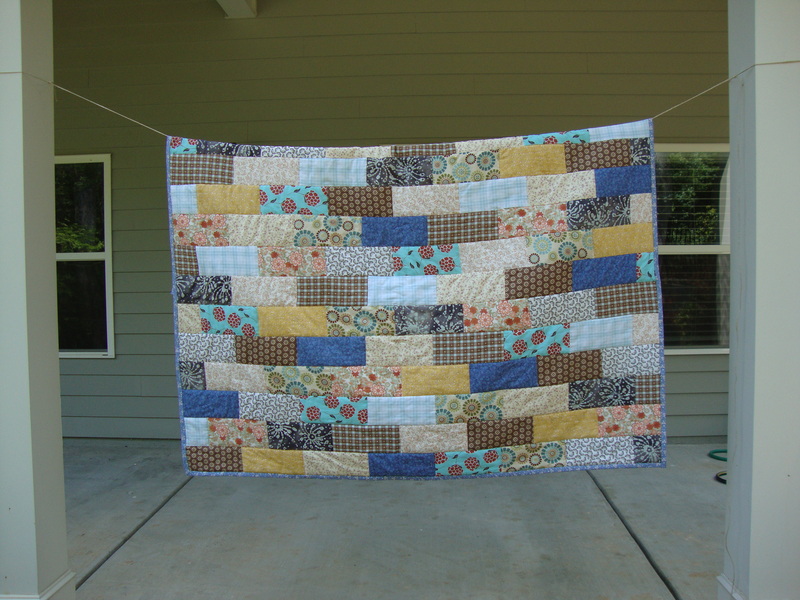 The point of using it is to make sure the different layers don’t shift around as I quilt the whole thing together, but the instructions say that the adhesive dissolves after going through the wash. I used the adhesive for both sides. Doing one at a time, I sprayed the adhesive outside, and then with the help of my Mom and Dad, I had one (sometimes two) people holding up the fabric while I smoothed it out on top of the batting. 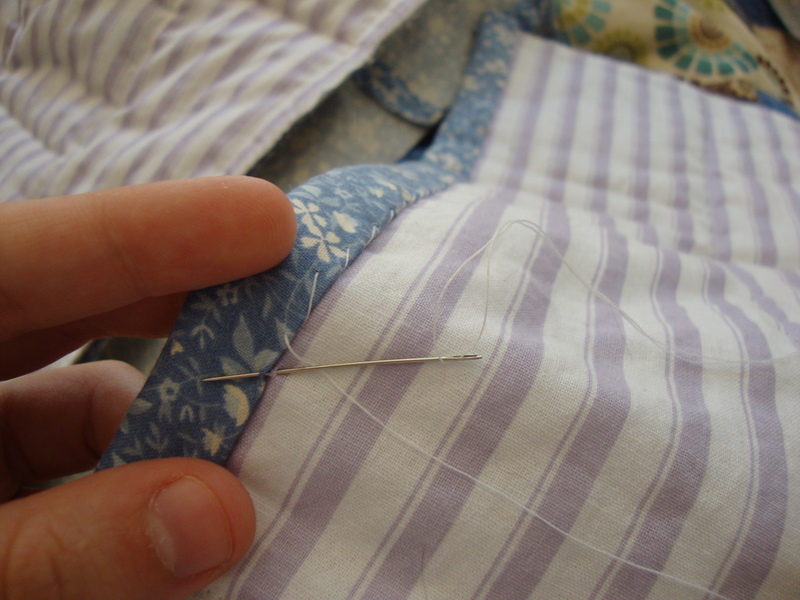 When I had everything in place, I attached safety pins all around the quilt just to be sure that everything would stay in place. 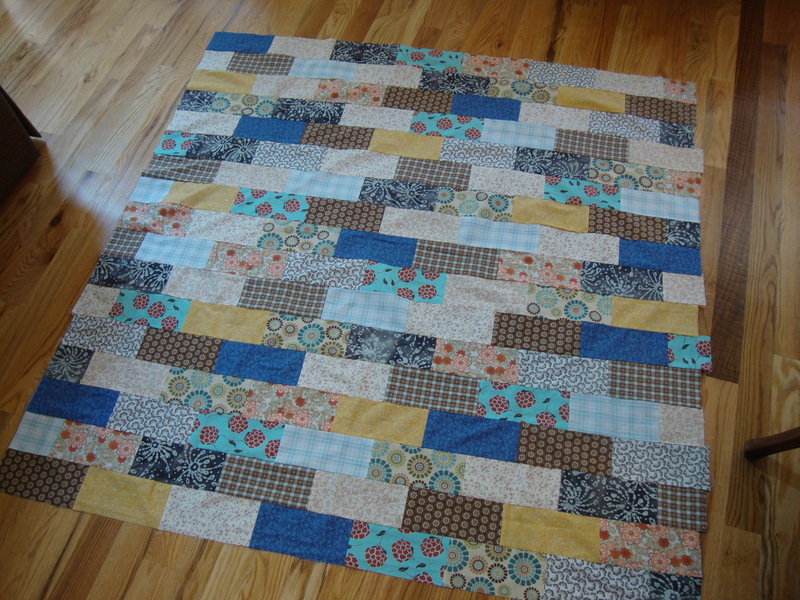 Then let the quilting begin. 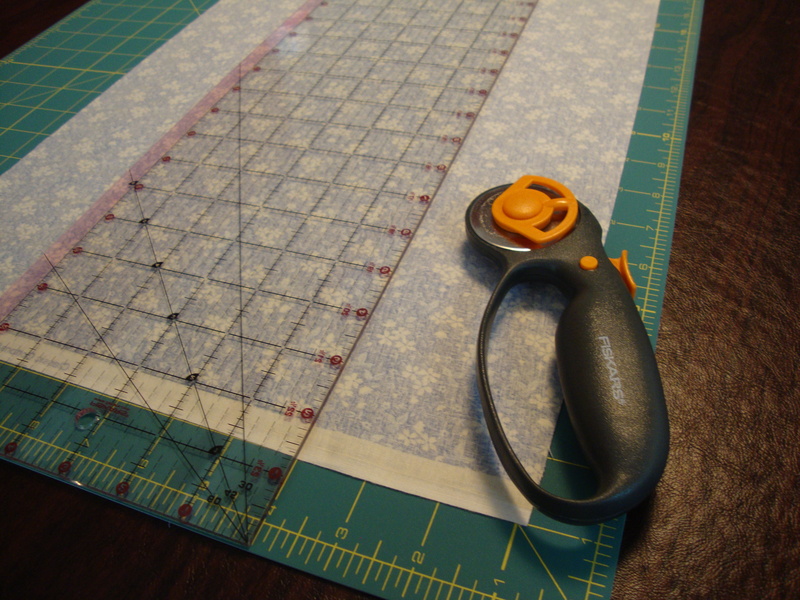 I had big dreams about using an embroidery foot to quilt a swirling pattern, but the foot was never purchased so I’m stuck with straight lines. 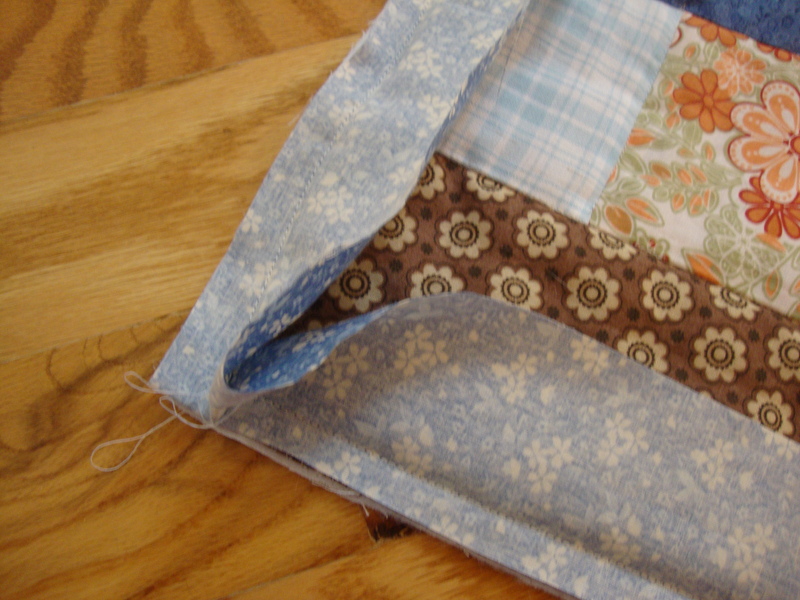 I decided to simply sew along the seams of the rectangle patchwork. Stay tuned for the finished piece!! My summer job search was easy this year. I loved being a camp counselor for Elachee Nature Center last year, so I figured, why leave? (Plus they actually pay me, unlike these so-called internships.) So with the start of camp, I’ve hard to switch my thinking for a younger age. This past weekend we had a Camp Preview Day. 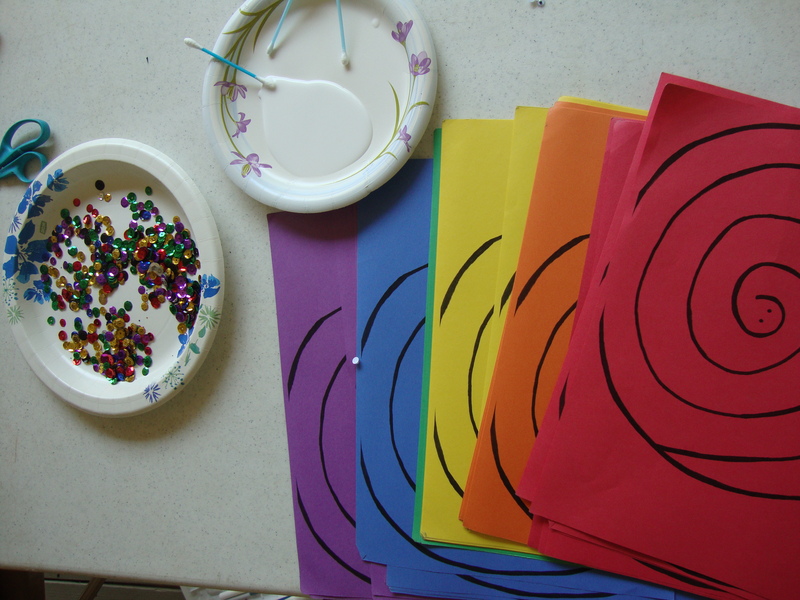 I (of course) volunteered to man the arts and crafts table. The craft – SNAKES! This craft was super easy. I drew a template and made lots of copies. I then let the kid pick out what color snake they liked. They could color it with markers, even add sequins, and when they were done decorating, they simply had to cut along the black lines. Add some googly eyes, and you have yourself a little snake. 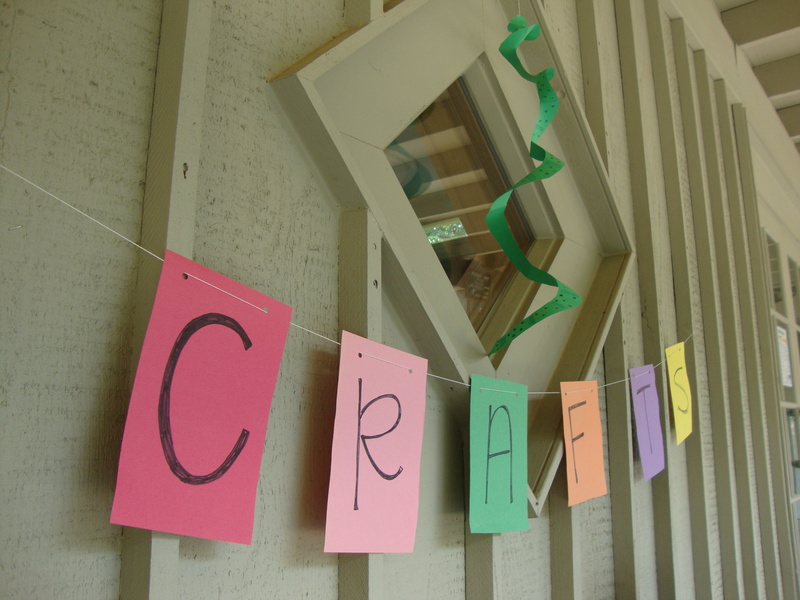 What makes this craft great is that any age can make it (especially those who can’t draw within the lines). And the creations we saw on Saturday were pretty darn cute!